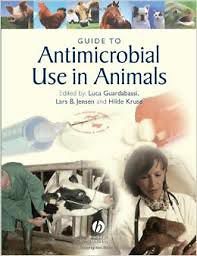 The first book to offer practical guidelines on the prudent and rational use of antimicrobials in animals. Drawing on multidisciplinary expertise to offer independent scientific advice on a controversial area that is crucial to both human health and animal welfare. The earlier general chapters cover issues such as human health risks and the problems of resistance to antimicrobial drugs. The later specific chapters are dedicated to particular groups of animals, and include tables of the drugs of choice to be used to preserve the efficacy of clinically important antimicrobials. Both companion animals and food animals are covered, including aquaculture.